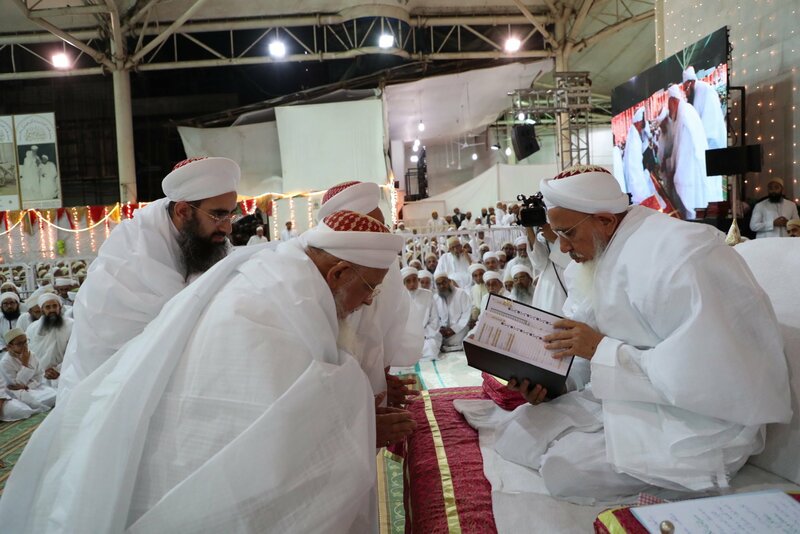 In what is now a long standing tradition of Aljamea’s al-Imtihān al-Sanawī (annual examinations), the huffāz (those who have committed the Holy Quran to memory in its entirety) certification ceremony was held in Raudat Tahera (the mausoleum of His Holiness Syedna Taher Saifuddin RA and Syedna Mohammed Burhanuddin RA in Mumbai) as part of a series of commemorative events that mark the ʿurs mubārak (death anniversary) of His Holiness Dr Syedna Taher Saifuddin RA. 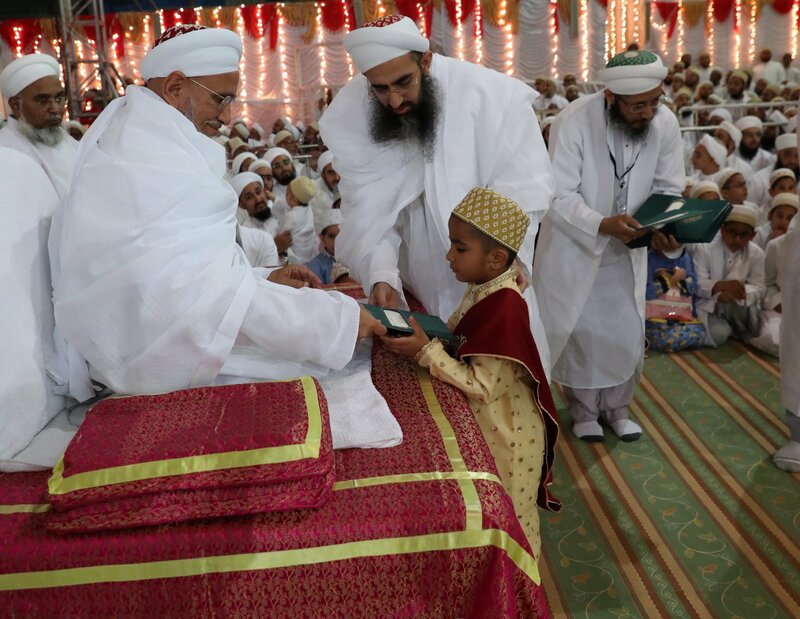 This year a total of 920 individuals from the community were awarded memorisation certificates at the hands of His Holiness Dr Syedna Mufaddal Saifuddin TUS, which is the highest number of huffāz the community has ever seen in a year till date. Year on year, the number of huffaz has been increasing with this year’s count surpassing last year’s high of 876 individuals. The youngest of this year’s batch is 6 years old while the eldest is 62. Of the 920, 445 are male and 475 are female and 488 of the total are from the broader community whereas the rest are from Aljamea-tus-Saifiyah and its various affiliated hifz programs across the world. 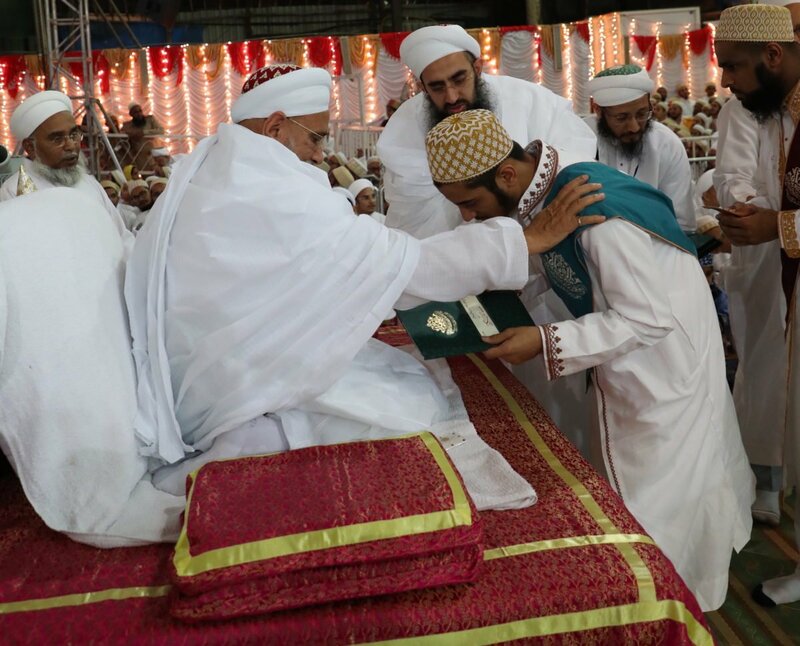 This surge in the memorisation of the Holy Quran stems from His Holiness’ wish to see at least one hāfiz (plural huffāz) in every household of the million strong Dawoodi Bohra community as well as the entire Muslim fraternity the world over. 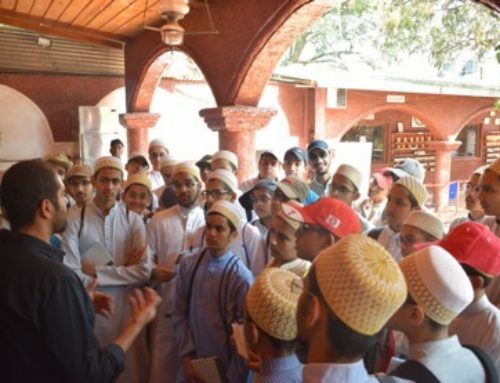 At Aljamea-tus-Saifiyah the Holy Quran constitutes the bedrock of its educational philosophy and memorisation is an integral part of the curriculum. 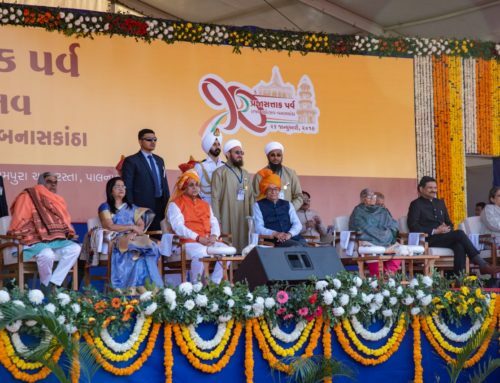 Memorisation however is not just a matter of rote learning, but a necessary prerequisite to appreciating the intricacies of the the Holy Quran and being able to contextualise its study in a modern and contemporary framework that spans disciplines across the entire educational spectrum. 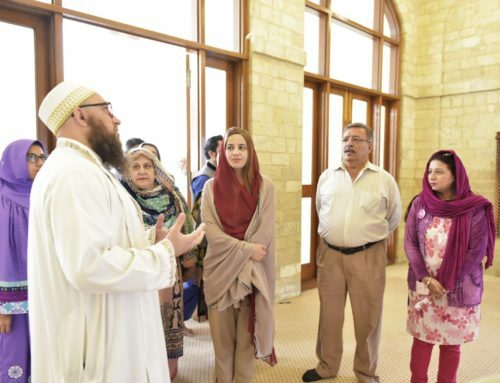 The certification event also recognised the achievements of Shahzāda Husain Burhanuddin, son of His Holiness TUS in the field of Quranic memorisation, recitation and study. Completing his memorisation of the Holy Quran at a very young age, he went on to head the Mahad al-Zahra Quranic institute at Aljamea and pioneered new programs, techniques and publications to facilitate and assist all those who strive to memorise the Holy Quran and to help maximise their output in the most efficient manner with the least effort culminating in the best possible results. 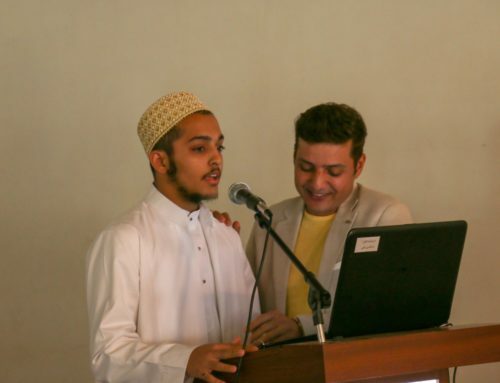 Earlier this year he was awarded certification by the al-Azhar university in Cairo for mastering the ten qirāʾāt (singular: qirāʾat recitations) of the Holy Quran according to the pathways of al-Shātibī and al-Durra. In Islam qirāʾat, which literally means the readings, terminologically denotes the method of recitation. Traditionally, there are ten recognised schools of qirāʾat, and each one derives its name from a famous reader of the Holy Quran. Each qirāʾat is then transmitted via a riwāya (transmission) named after its primary narrator. Shahzāda Burhanuddin also released an audio recording of the entire Holy Quran in which all the ten transmissions are incorporated. During the event, Mahad al-Zahra also launched a three volume publication of the Holy Quran which incorporates all the variations in qirāʾat according to the ten transmissions, in a novel and user friendly format with the added benefit of colour coded text and useful information in the margins and appendices.